A longtime staple in residential and public spaces, hardwood flooring is more coveted today than ever before. Extremely durable and always elegant, hardwood flooring is a floor that can truly deliver by adding ongoing beauty and value. Over the years, hardwood flooring has evolved steadily, and today there are plenty of options to address many of the challenges of modern life. 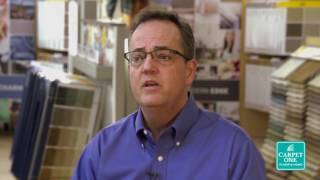 At Burlington Carpet One Floor & Home in Burlington, NC, we offer up a wide variety of the finest hardwood flooring brands and products. We can help you select the perfect flooring to accent your space, whether you prefer classic styles, or something more contemporary. Hardwood flooring can represent a serious investment and does require some level of upkeep to maintain its beauty. Is hardwood flooring your best match? We can help you meet your ideal flooring match, but here are a few things you might like to know beforehand. Hardwood is known as a durable surface. Made from real wood, hardwood floors are also naturally beautiful. Hardwood floors are best used for rooms like bedrooms and living rooms. An added benefit of installing hardwood floors in your home is that they can be allergy friendly. When properly cleaned and maintained, dust and dirt have nowhere to hide and grow, meaning harmful allergens have nowhere to thrive. Solid hardwood is the original hardwood format, with each plank comprised of a single piece of wood. Solid hardwood is exceptionally durable, and is a great option for those who like to redecorate, as it can be sanded and refinished over and over again. However, there are some limitations. Solid hardwood cannot go below grade, and it doesn’t tolerate moisture well. Engineered hardwood is a newer contender to the flooring industry. Combining the beauty of natural wood with modern ingenuity, engineered hardwood is made using multiple wooden layers. It has an absorbent center and a durable top coat. Engineered hardwood is more affordable, generally, than solid hardwood, and it can be installed below grade – and in other spaces inhospitable to solid wood. Both engineered and solid hardwood flooring are available in a wide variety of tree species. There are floor planks made using traditional hardwoods, such as pine and oak, as well as planks sourced from more exotic species, like mahogany and teak. At Burlington Carpet One Floor & Home we’re your local hardwood flooring destination. As your friends and neighbors, we understand your unique flooring needs and can offer you some impressive solid and engineered hardwood solutions to fit your budget, taste, and functional requirements. Visit us at 3561 South Church Street, or call us at (336) 290-5744 to schedule your free onsite project estimate today. Choosing the right hardwood floor for your room can sometimes be difficult. Check out some of our tips about choosing a hardwood floor for your home. 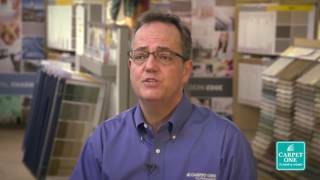 Our very own Jim Aaron explains the difference between solid hardwood and engineered hardwood. Get the inside information on which is best for your home. If properly cleaned and cared for, your hardwood floor will bring ongoing value and beauty for generations. Here’s what you can do to keep your hardwood in optimal shape. How does humidity affect hardwood? For homeowners that are new to hardwood flooring, you can turn to us as your local experts. Follow the link below to learn more about how humidity effects hardwood and steps you can take to protect your floors.